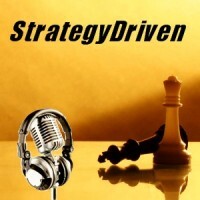 In addition to the invaluable insights Robert shares in Analytics at Work and this special edition podcast are the resources accessible from his website, www.AnalyticsAtWorkBook.com. Robert’s book, Analytics at Work , can be purchased by clicking here . Robert Morison is co-author of Analytics at Work . For the past twenty years, Robert has led breakthrough research at the intersection of business, technology, and human asset management. He has written or overseen more than 130 research and management reports on topics ranging from business reengineering to electronic business to workforce demographics. Robert is co-author of three Harvard Business Review articles and Workforce Crisis: How to Beat the Coming Shortage of Skills And Talent . To read Robert’s complete biography, click here.